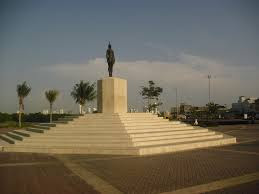 The statue of La India Catalina is one of the top landmarks In Cartagena de Indias. It is a representation of a very important aborigine woman in the history of this city. The statue was created and sculpted in 1961 by the city artist Hector Lombana, who designed it as a handheld trophy, requested by the organizers to be the prize award for the International Movie festival of Cartagena. In 1974, it was casted in bronze by Eladio Gil, and that is the feminine figure you can now see over the pedestal. The winners of the now movie and television festival keep on being awarded with the small version as the prize for every category. As an analogy, it can be said that the India Catalina is like the Oscar for the Colombian audiovisual industry. Cartagena de Indias recibe todos los años durante la última semana de enero uno de los festivales más importantes del mundo de las letras. 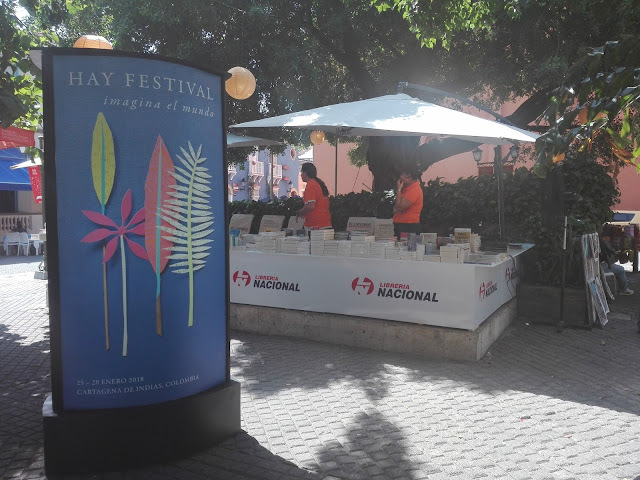 El "Hay Festival" es una fiesta de la cultura en la cual los escritores y autores se encuentran con el público en charlas y eventos en los cuales cuentan sus formas de creación y acercan su obra a los asistentes creando un ambiente en el cual el realismo mágico que se vive en la ciudad se compagina con la nueva literatura que se escribe en la actualidad en todo el orbe.